*This article was originally published by Fair Observer. Athanasius Dimadis and María Fernanda Espinosa Garcés | The United Nations is often criticized for bureaucratic inefficiency, with its more passionate critics disparaging the organization’s “uselessness.” Despite this, the UN still wields a remarkable influence in its mission to promote international cooperation and to create and maintain international order. María Fernanda Espinosa Garcés, who brings more than 20 years of multilateral experience in such fields as international negotiations, peace, security and human rights, has pledged to maintain the UN’s commitment to multilateral relations while proposing a number of crucial and pressing reforms more in tune with the “needs and quests” of an ever more connected world. Her appointment comes during a time characterized by heightened political tensions and fears of global unrest, and Espinosa Garcés advocates for a solutions-based approach designed to not just maintain, but revitalize one of the world’s preeminent peacekeeping organizations during a period when the legitimacy of its mission has been repeatedly questioned. In this edition of The Interview, Fair Observer talks to Espinosa Garcés about the challenges faced by the UN today, from migration and climate change, to gender inequality, racism and autonomous weapons. 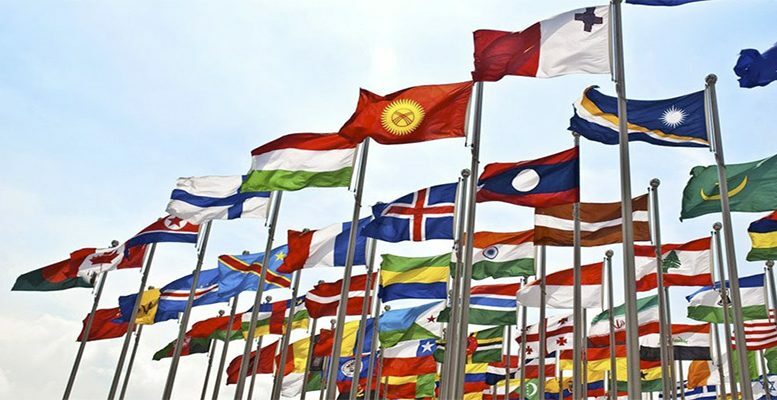 Athanasios Dimadis: At a time when global politics is marked by division and rancor, many criticize the UN for its inefficiency, bureaucracy, unwieldiness and even uselessness. In your view, what are the most crucial and pressing reforms that the UN must go through in the next five to 10 years? María Fernanda Espinosa Garcés: Firstly, let me take this opportunity to thank you and Fair Observer for inviting me to this interview. The theme of my presidency is “Making the United Nations Relevant to all People,” and to achieve that, the role of the media is crucial to explaining our goals and priorities. To answer your question: One of the most recurrent topics during the General Debate, which we had in September with over 130 heads of state and government, was the strengthening of multilateralism. You used the word reform, and one of our priorities is the revitalization of the organization, by supporting the UN reform, proposed by the secretary general, under three pillars: peace and security, development, and management reform. Why? Because this is a way to make the UN more relevant, leaner, to produce efficiency, to deliver value for money, to make the real difference to people out there who count on this organization. The United Nations does tremendous good work that doesn’t make the headlines, but that doesn’t mean that it does not exist — the work of the UN is real, and it’s out there. It promotes conflict prevention, it secures international peace and security, it assists about 80 countries with food security. The UN promotes sustainable development, tackles climate change, stands up for human rights, for gender equality. The UN and its partners vaccinate 45% of children around the world. I could go on. The General Assembly, which I represent, is the largest democratic body of the UN. We have 193 member states, and each country — independent of size, demographics, geography — each country has one vote. I say that all countries have the same microphone to speak and the same button to vote. So, are there challenges for multilateralism? Yes, of course, and we don’t deny them, but at the same time we do not fear these challenges, we believe that diversity is actually one of our sources of strength, we see dialogue as a powerful political tool, and sometimes in political processes you will have dissent before consent — this is fine, it is part of political processes and what makes us interesting and strong. Dimadis: What are your top priorities for your presidency? Espinosa Garcés: We have seven, one for each day of the week. My priority is gender equality. As you know, more than half of the world’s population is women. The days of including women in the decision-making spaces are long overdue. We need to be part of any conversation concerning us, but we also have a contribution to make to all decision-making fora. It has been already proven that when women are involved from the start, there is more chance of success and development. You will recall that I dedicated my election to the General Assembly to women in politics, to women and girls who are victims of violence. Gender equality — for me and for this presidency — is not only a trendy concept; it must be a reality to all women out there, and I firmly believe that this is also a task which involves men as real partners. Another priority is migration and refugees. In December, the General Assembly hosted in Marrakesh, Morocco, an international conference on migration, where member states adopted the Global Compact for Safe, Orderly and Regular Migration. You know, the history of humanity is the history of migration, is the history of people on the move, and this Global Compact, which was agreed upon by all 193 member states of the UN, is the result of collective action, of multilateralism, of safeguarding the rights of migrants, of addressing a transboundary issue — an issue that belongs to us all. I can safely say that nowadays most countries have experienced the phenomenon of migration directly or indirectly. My other priorities are decent work, people with disabilities, environmental action, youth, peace and security, and the revitalization of the United Nations. These are, in fact, crosscutting priorities. When we talk, for instance, about decent work, we are also touching upon gender equality, but also on people with disabilities who need to be integrated, to have access to decent work. Work opportunities are also important to young people. If they can develop their potential, get a good education and employment, they will be more likely to positively contribute to society instead of being attracted by radicalism or other damaging ideologies. Environmental action is a crucial priority for us as member states move to implement the Paris Agreement. We need to establish low carbon economies, to finance new, clean technologies, to reduce climate change causing emissions. And this takes collective action — this takes a strong approach to multilateralism and international cooperation. And here, my office is organizing a global campaign against plastic pollution. You know that if we do not revert the levels of plastic pollution, by 2050 there will be more plastic in our oceans than fish stocks? It’s up to us together to act now. Dimadis: Peace in the Middle East seems to be an ever-moving horizon line. What can finally be done to reach a solution, especially after the US moved its embassy to Jerusalem and has so clearly chosen a side in this conflict once again? Espinosa Garcés: The United Nations is fully committed to achieving lasting and sustained peace in the Middle East. You will recall that Resolution 181 was approved by the General Assembly in 1947. Since then, there have been several resolutions by the GA. And not only that; there has been active diplomatic engagement. I have publicly declared that the UN has a debt with the Palestinian people. The goal of achieving a political solution, which will make possible the creation of two states — a Jewish one and a Palestinian one — is a common goal. We cannot forget, however, that this is a process which is assisted by third parties as requested. Several member states are engaged directly in conversations and peace negotiations, as well as regional and international organizations. You will recall that the Quartet on the Middle East, for instance, had two member states and two international organizations — the European Union and the UN itself. And we cannot forget that the decision is made by Israelis and Palestinians, while the role of the UN is to assist as both parties require. From our past resolutions, you know that the General Assembly has positioned itself clearly in regard with recent development on the status of Jerusalem. And I would encourage you and your readers to access these resolutions on our website to see how the discussion was conducted and what the General Assembly decided. Dimadis: In your view, what are the biggest threats to global peace and security right now, and how can they be addressed? Espinosa Garcés: Instead of talking about threats, I really would like to focus on solutions. There have been different readings of threats in different times. For instance, the threat to multilateralism, which can risk gains made on peace and security. We are all now very much engaged with the denuclearization of the Korean Peninsula as one of our biggest threats, as well as nuclear, biological, chemical weapons. Specialists in cybertechnology have raised the issue of lethal autonomous weapons, or killer robots, and all their implications. But at the same time, we have opportunities that can be used for the good of humanity. We have more access to information and immediate access as never before. The same frontier technology that makes us consider potential damaging issues and implications opens new horizons from which young people, the present and future generations, can profit. The strengthening of multilateralism as we have been seeing in the landmark peace agreement between Ethiopia and Eritrea, but also in other parts of the world. Another encouraging moment and a great step for multilateralism and disarmament happened in September, when seven countries signed and four ratified, during the high-level week here in New York, the Treaty on the Prohibition of Nuclear Weapons. All these steps lead us to conclude that global challenges are to be solved by global, collective actions. Multilateralism is not one of the ways to solve our challenges; it is actually the only possible way. Dimadis: The International Organization for Migration has called migration one of the greatest political challenges in our era. You have named finalizing the Global Compact on Migration as one of your seven key priorities. Why do you feel the urgency around this goal at this particular moment in time? Espinosa Garcés: Because today we have a golden opportunity to show that the international community, namely the member states of the UN, is capable and willing to work together to address today’s global challenges. Managing migration is one of today’s global challenges. And member states have managed to agree this year on a Global Compact on Migration, and they now had a chance to be present in Marrakesh for the formal adoption and show the world that we are serious about ensuring that migration is safe, orderly and regular. Dimadis: The global compact is not legally binding. How can we ensure that not only all UN members adopt the Global Impact but also take actions necessary to achieve the outlined objectives? Espinosa Garcés: Implementation will be key. And the Global Compact presents a series of tools that member states can choose to implement in line with their priorities. It is also important that we are not beginning from scratch: Many of the practices described in the Global Compact are already being implemented by several member states around the world. The Global Compact allows also for exchange of best practices. Dimadis: According to UNHCR, we are witnessing the highest levels of displacement on record: An unprecedented 68.5 million people around the world have been forced from home. Among them are over 25 million refugees, over half of whom are under the age of 18. And yet at this time of record migration, we are also witnessing a rise of nationalism, nationalist and populist rhetoric, especially in the host countries in the West. Some experts believe it is the direct result of these unprecedented levels of human mobility and displacement. Therefore, how do we address this issue of cultural backlash against the “other”? How do we convince governments and the public at large of the benefits of migration? Espinosa Garcés: While it is true that we are witnessing very high levels of mobility — of migrants, of refugees, but also of people who are displaced within their own countries — I believe that I see things differently; the atmosphere toward migrants and refugees is not predominately negative. I see many positive stories and actions throughout the world that illustrate the positive side, I see many communities acknowledging the positive contribution of migrants, I see many states all around the world actively working to facilitate the successful socio-economic integration of migrants. However, I agree what we see are the loudest, most sensational stories that play to fears creating a negative global atmosphere. The xenophobia, nationalism and racism often play directly into the anti-migrant and anti-refugees sentiment. Member states — who are the United Nations — have shown their commitment to come together to address the challenges linked to migration, including xenophobia and racism. The fact that member states, in this time of heightened political tensions and debate around migration, have managed to agree on a Global Compact for Migration is a sign of hope and a sign that the ultimate multilateral institutions that are the UN are still relevant and are the best forum to address global challenges in a spirit of cooperation. Dimadis: Since the UN’s foundation, the United States took on a key role in founding and leading the world’s preeminent organizations and treaties. Recently, however, President Donald Trump has pulled the US out of the Paris Climate Agreement and said the US will not participate in the new Global Compact on Migration. How detrimental is this rejection of globalism to UN’s efficiency in solving the world’s most intractable issues, without the full participation and commitment from the United States? Espinosa Garcés: I am a strong believer in multilateralism, and so I believe are the member states of the UN — as was shown by the numerous heads of states and governments attending the General Debate at the UN this year (the highest-level attendance at that level at the UN headquarters since the 2005 World Summit), several of them underlining the essential role of multilateralism as the only effective way to address global challenges. This being said, as I have stated several times, the United Nations and the General Assembly are a place for dialogue, but also for dissenting dialogue. Of course I wish that all member states supported international agreements like the Paris climate accord, and that all member states supported the Global Compact for Migration. But, again, dialogue is also about disagreeing. The important thing is to have a dialogue.